…exciting days too. First and foremost the cover artwork for my upcoming novel, Darkest Vow, arrived and I must say I am very, very pleased. A wonderful lady, Karen Ronan, designed the artwork. She’s the owner of http://coversbykaren.com and I must say she is a top talent. Check out the awesome cover below. The work captures the era of the book brilliantly. Secondly my new Facebook page is up. Jump on over and give the page a like. A handy little link is in my widget column to the left but can also be found by directly going here. 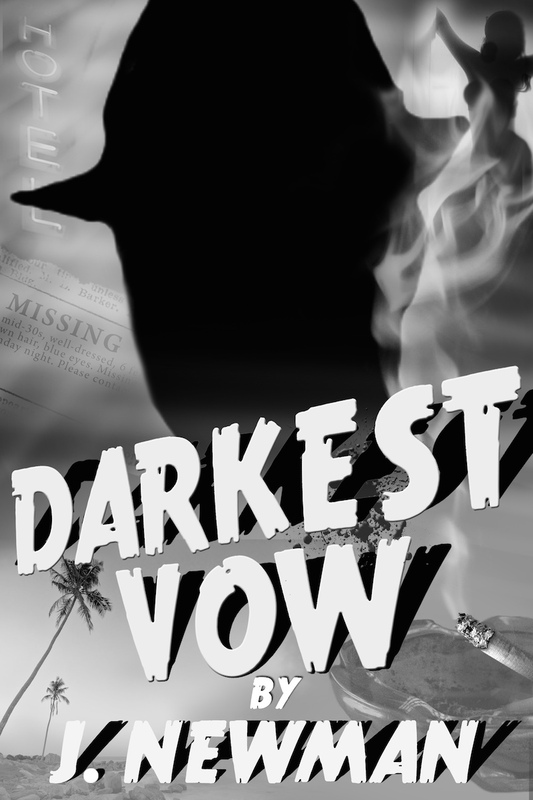 Lastly.. and the big new… Darkest Vow is being targeted for a mid to late June release. Perfect for a Father’s Day gift (hint, hint). I am looking for early reviewers so if you want to lend some assistance message me here or on Facebook or Twitter. Something unique for an Ebook launch? Noir, Noir. Where did all the Noir go?